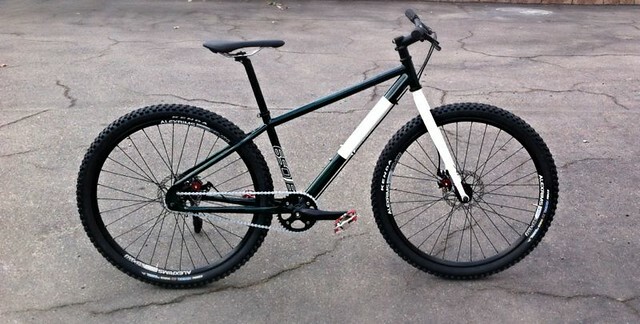 One of the newest bikes to arrive for testing at MtnBikeRiders.com is this little steel beauty. This is the Nashbar Bee’s Knees Single Speed 650b. The new 650b mountain bikes are the next big thing and the Nashbar Bee’s Knees Single Speed 650b mountain bike is a perfect example of why. The Bee’s Knees Single Speed has the benefits of a 29er without the draw backs. Its bigger wheel size (about 27.5″) means you can roll over stuff that would stop most 26″ MTB’s, but it is smaller and more nimble than a full-size 29er bike. It’s a sweetly spec’d, super simple bike at a value you won’t find anywhere else. Our test bike is a small. 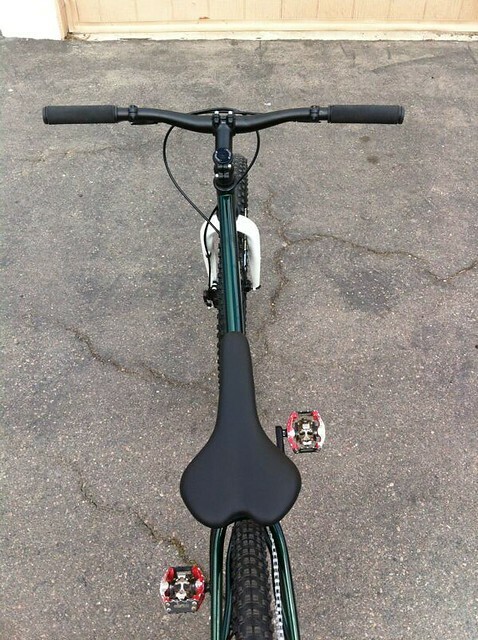 When we discussed reviewing this bike with Nashbar, they admitted that the gearing is a bit tall for it.They said that they have no problem with us changing things around to suite our riding and gearing preferences. 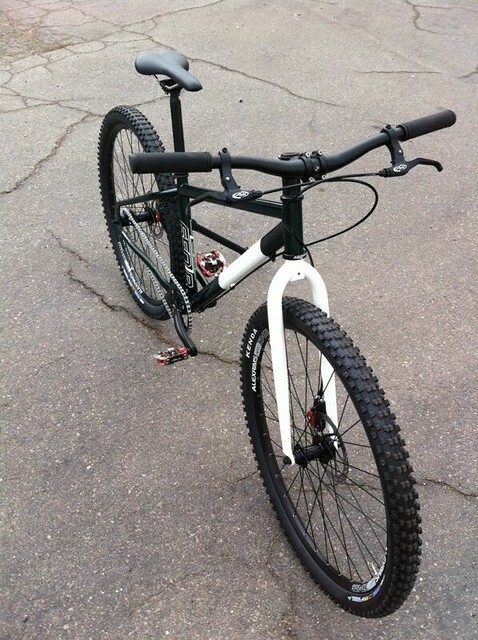 We also plan on testing this bike as a commuter. We figured we might as well put that tall gearing to use before we make those changes we mentioned. KHS SixFifty 606 has arrived! KHS Bicycles Launches a new 650b BIKE!!!!!! I had some parts lying around which helped. 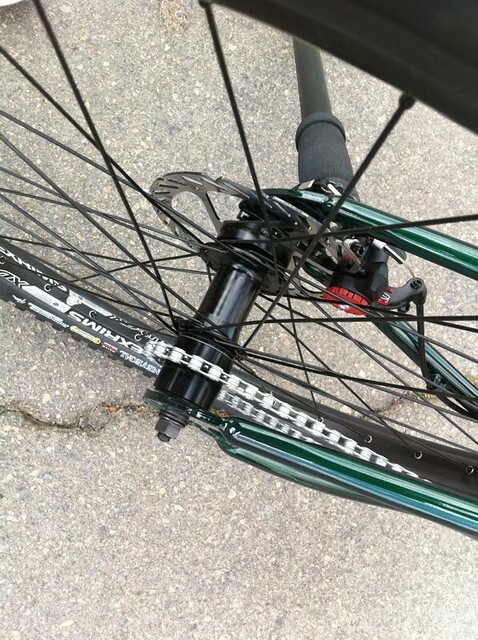 1st thing – switched to 29er front wheel. Next PostNext Want a Fat Bike for $199?